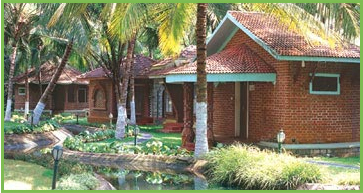 Kairali Ayurvedic Health Resort is undoubtedly a resort with a difference. Set amidst 50 acres of lush greenery in Palakkad, Kerala, popularly referred to as "God's own Country", Kairali promises to be a singular chapter in any tourist's Indian experience. The nearest airports are at Coimbatore, Cochin and Calicut, which are just an hour and two and a half hour drive respectively from here and fringed all along the way with the scenic beauty of the western ghats. You'll know from the beginning that Kairali Ayurvedic Health Resort is a unique paradise where the discerning visitors would want to return, year after year. Designed to be the first of its kind in the world, this resort combines a health orientation with a living experience that can be described as "Return to Nature". A place where you can lean back and relax in elegantly ethnic surroundings and yet be confident of returning on a healthier completely rejuvenated note. Kairali Ayurvedic Health Resort is dedicated to bring you the benefits of science that has proved to work wonders for health over 5000 years. Based on traditional oil massages, this Ayurvedic Health system has had wide acceptance both as a general health rejuvenation plan which are completely free of any toxicity and side effects. 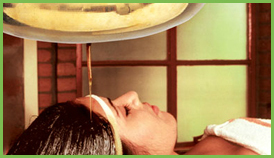 The treatments are carried out under the guidance and supervision of well qualified and experienced Ayurvedic Doctors. Keeping fit and healthy does not mean you lead a Spartan existence devoid of luxury, fun and excitement. Kairali Ayurvedic Health Resort believes in paying attention to the finest details to make your stay a truly memorable one. There are 30 exclusive villas with each of them having a distinctively different design that blends with the surroundings, yet is the very epitome of comfort and elegance. Elegantly done landscaping with 1.5 kms, of water body meandering around having colourful fountains and waterfalls at various places would definitely give one an enchanting experience of being in a paradise. Kairali offers facilities for special poojas like Ganapathi homam, Mrithyunjaya homam and Shatrusamhara homam. Training in martial arts and traditional art forms is imparted under the Kairali Kalakshetra programme.Visits to Temples are arranged for guests who wish to learn more about Indian religious customs and history. 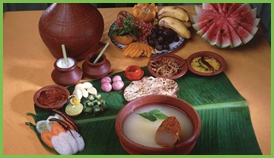 Kairali also offer guests the unique opportunity to experience the charming Kerala village life and to interact with villagers. This gives guests an insight into this fast disappearing life style.Kairali also arranges visits to traditional industries where guests can view pot making , handloom weaving and handicraft manufacturing. Rooms where simplicity is the main focus with all the basic requirements of a Air conditioner, Television, Telephone, Bathtub and Hot & Cold Water alongwith basic bathroom amenities. Large and more spacious located around the stream flowing in the resort. One can hear the constant murmur of the water flow and relax with all the basic requirements of a Air conditioner, Television, Telephone, Bathtub and Hot & Cold Water along with basic bathroom amenities. It also has a Refrigerator, small sit in area in the room and with a little more luxury. A white Valambiri conch placed in each bedroom ensures the retention and flow of positive energy. Furnished in high elegance either having a splendid view of the Pool or River as well as located very conveniently to all the resorts facilities. Truly built with Luxury in mind and every little detail from the bed covers to the beautiful sit out verandah in each room justify the name Royal with very large room and special Ayurvedic amenities such as Ayurvedic Soap & Shampoos all these constitutes of a Royal Villa. It has two separate rooms with King Size beds truly built with luxury in mind and every little detail from the bed covers to the beautiful sit out in the lawn around the pool or river. It has separate sit out in the front and back of the villa. It is located very conveniently to all the resorts facilities. It also has a personal coffee maker. Each room has special Ayurvedic amenities such as Ayurvedic Soap & Shampoos etc.